If you have a construction project at home or require a DIY Home Trade Project toilet due to a bathroom refurbishment, we can supply a portable toilet to your home. DIY Home Trade Project toilets are available for short or long term or for an emergency call out. Portable or Mains Connect toilets are available for the duration of your project. 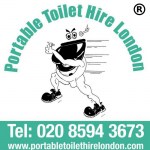 Please contact our dedicated team at Portable Toilet Hire London to discuss your DIY trade home project requirements. We'll ensure that are fully satisfied and have all the information to hand for you to book your portable toilets for your function. The portable toilets are delivered to your location in London, Essex and the surrounding areas.